9 13/16" X 15 1/8"
9 13/16" X 8 7/16"
This item requires 2 additional days for Make Ready Service prior to being shipped. When considering an expansion of your manufacturing operation, it's wise to look at ways to save money and get a better cost per cut. This means finding a band saw that's both easy to use and has the ability to cut a variety of different materials. This is where the Trajan 250S comes in. 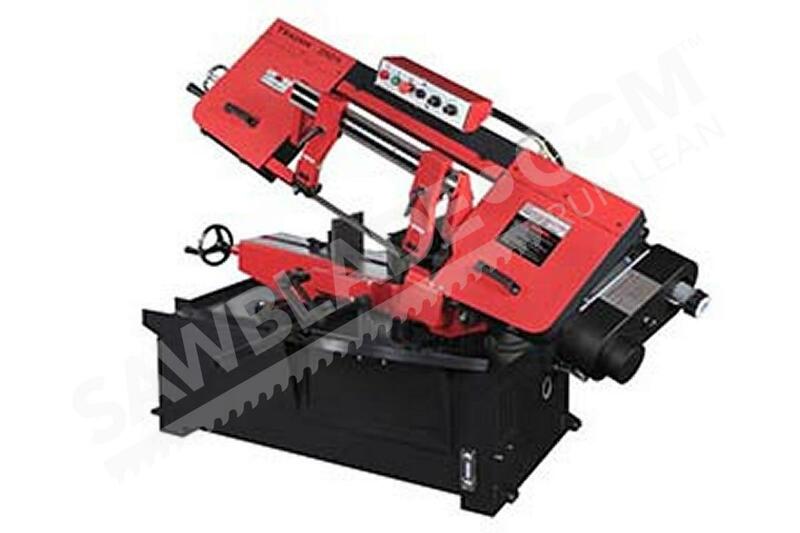 Its range of features makes it an attractive saw for many different types of operations, including fabricators, machine shops, plastic manufacturers and many other uses. 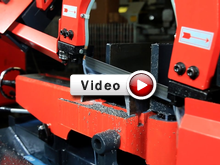 We asked David Hall of Metal Sawing Technologies to give us the scoop on the Trajan 250S. 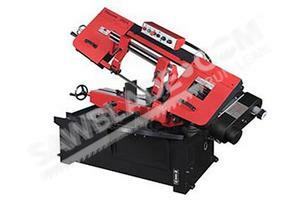 The Trajan 250S is a heavy-duty band saw. It comes with a one-inch band saw blade and has a heavy framework that weighs in at a hefty 1000 lbs. 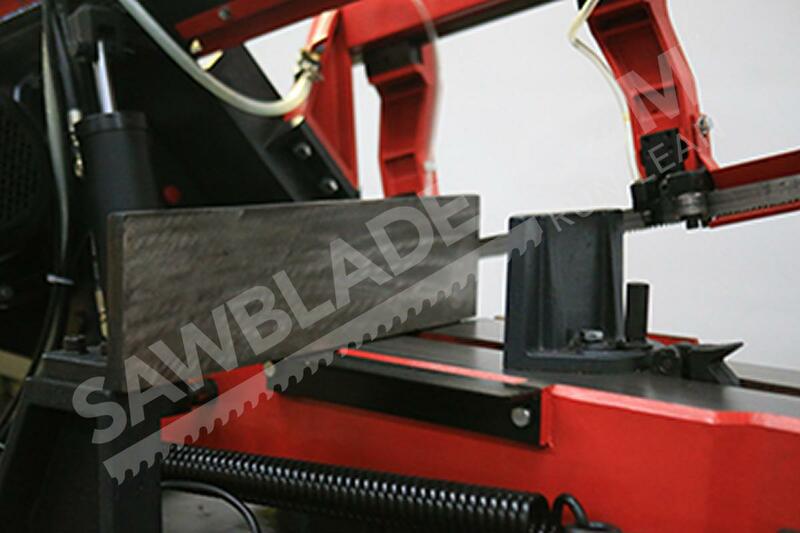 This heavy framework offers the operator exceptional stability, enabling the operator to get more cuts out of the blade. It comes with a two horsepower motor and a variable speed control, offering a band speed between 80-259 surface feet per minute. This gives you many options during the cutting process. It is also easy to use with carbide blade guides and pre roller guides allow the operator ease of use from his control panel. A few other nice features of the Trajan 250S include •	Easy maintenance •	A chip brush and built in coolant This combination keeps the band saw blade clean and cutting longer so you don’t have to spend as much money replacing your saw blades. The Trajan 250S also comes with adjustable down feed control and an adjustable guide arm. Put all these features together, and you have a heavy-duty band saw capable of cutting a wide range of different materials with ease. The Trajan 250S band saw is a great option if you are looking for a heavy-duty machine that will cut longer and offer a reliable alternative to other heavy band saws. Its heft and engineering make it an easy machine for an operator to use. If you are interested in purchasing a Trajan 250S band saw, or have any questions about the band saw, contact us today. If your shop needs a saw that incorporates operator convenience, precise cutting capabilities, and high-performance efficiency, look to the Trajan 250S. 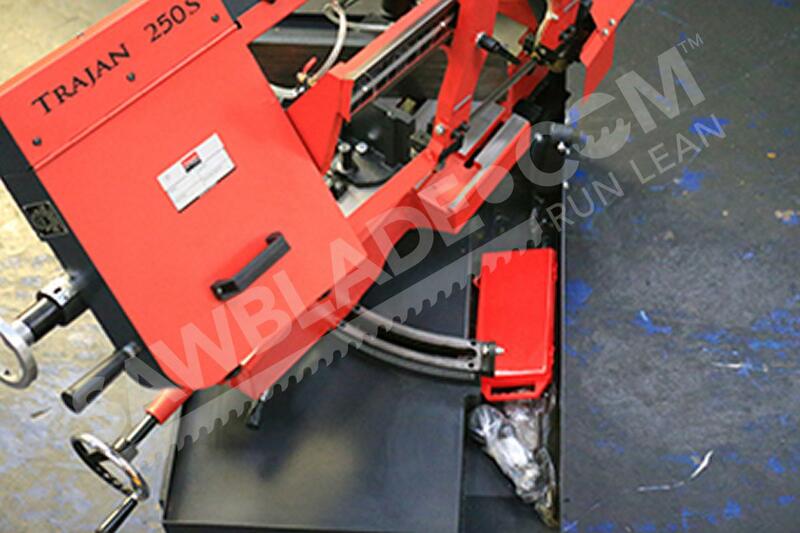 This cutting machine offers a host of quality features that make it a valuable addition to many metal sawing shops. Its heavy-duty frame and strong structure mean the Trajan 20 can handle a variety of applications. Fine-tuned controls mean that operators can set the saw to their exact cutting specifications. With a manual swivel head and fully adjustable hydraulic downfeed controls, operators of the Trajan 250S can achieve precise control over the cut they want to make, fine-tuning the saw for their purposes. 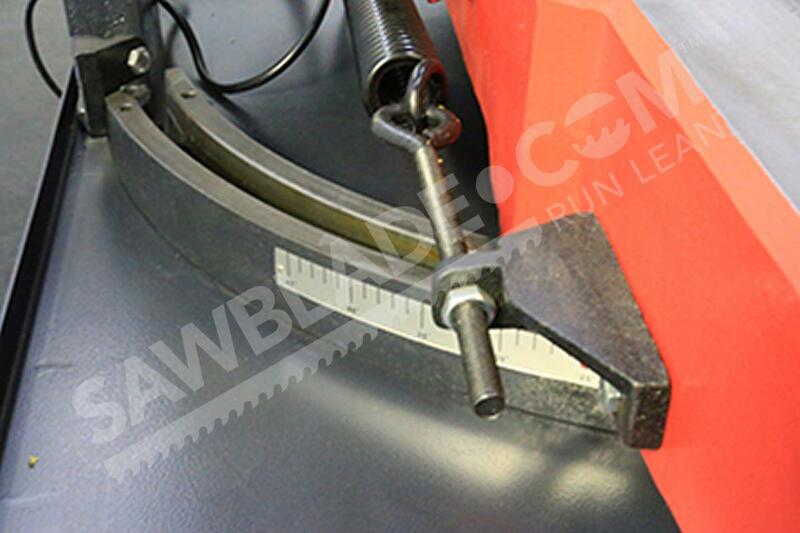 Furthermore, operators can monitor the cut as it occurs from the control panel located on top of the saw. The ability to carefully set the saw to the precise right cut means operators can be extremely accurate, a characteristic of the Trajan 250S also made possible by its strength and heft. The Trajan 20 was designed for stability. It has a cast iron base and a heavy gauge steel structure. 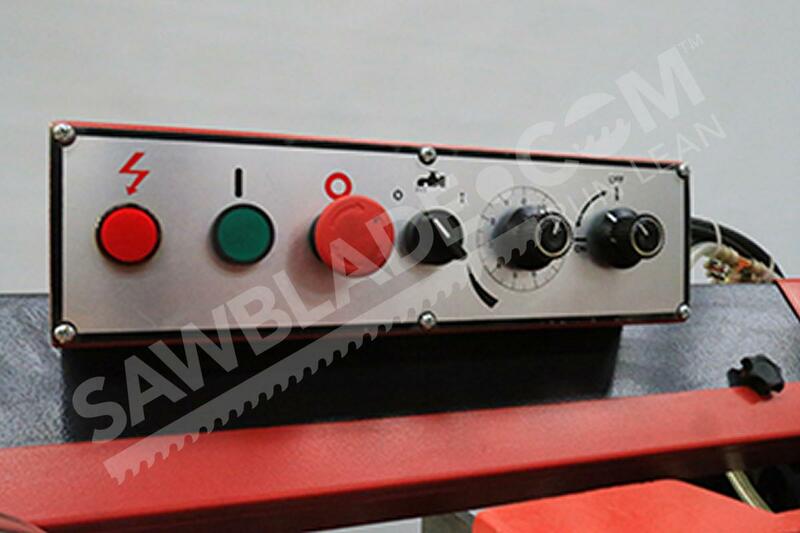 This saw resists vibration and performs excellently in high-production conditions. It’s heavy build is extremely durable and helps maintain low costs, like less spending on band saw blades. 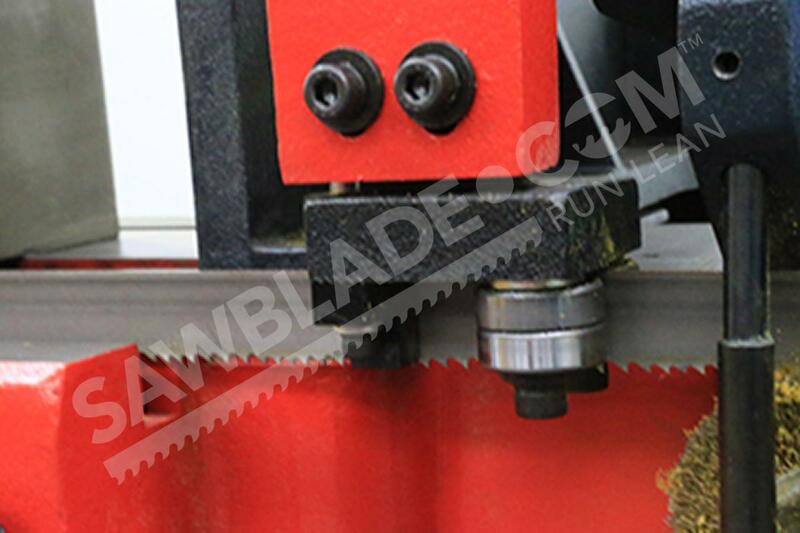 Carbide blade guides on the Trajan 250S also contribute to both cutting stability and improved blade life. Blade size: 10' 1" x .035" x 1"